Hi, everyone, one this post we are looking at porting custom recovery (Philz). This tutorial is a bonus for that android user that are finding it difficult to rom their android devices since rooting of the android phone has to become difficult for Android version 5.1 above. If you have not been following our root guide we have dropped a guide on how to root using Magisk and stock boot.img @ thttp://www.techwizng.com/2018/04/how-to-root-android-device-using-magisk.html . That method only requires your stock boot.img to root, no custom recovery or one-click-root apks. Root access is not the only goal for many android users as we do realize that some users would still need a custom recovery to backup or flash custom ROMs to their Android devices. 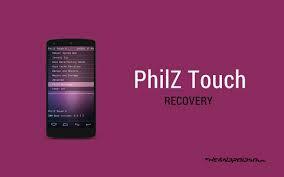 This can not be achieved without installing a custom recovery like Philz recovery, that why we this tutorial to guide you on how to created MTK Auto Philz recovery using Philz recovery porter. The entire process is really easy too especially if you are using MTK chipset. Here you will find the basic requirement for creating Philz recovery. You'll find your ported Philz recovery in the output folder. Credits go to HOVATEK bluefirebird & Osm0sis of XDA and Lionello Lunesu for the libraries used.